How did you hear about the Tour Stop? The Serious Writer Tour does not mail tickets to Tour attendees. Price includes registration fees and conference materials. Price do not include transportation or hotel accommodations. Serious Writer Tour event tickets are fully transferable to a substitute registrant, within your organization, up to, and including, the day(s) of the event. 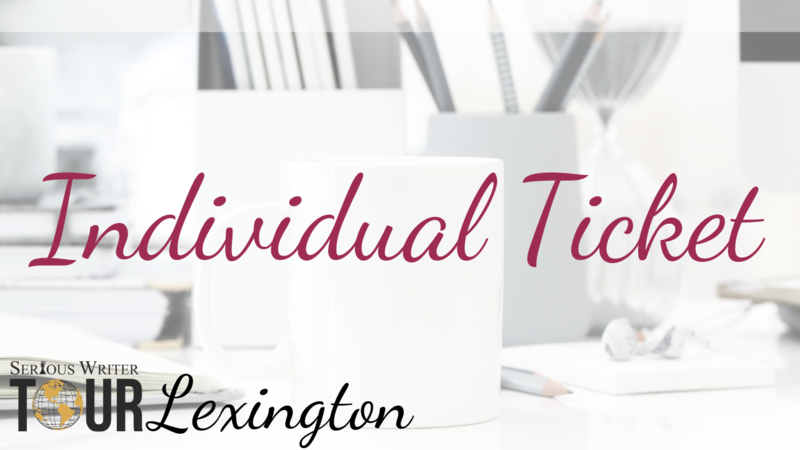 Transferring or reselling your tickets to another person will forfeit your entire registration. Let us know who is now taking your ticket by emailing us at support@seriouswriter.com. Tickets purchased within 30 days of the event are nonrefundable. You may sell or donate your ticket to someone else, in which case, please let us know so we can adjust the registration name. Please do not ask Serious Writer to make exceptions to this policy. Serious Writer™ Inc (SWI) may take photos of attendees throughout the event and may appear on the SWI Website, newsletter, conference brochures, social media outlets, or other future SWI promotional material. By virtue of your attendance, you agree to usage of your likeness in such media. If you have any questions, please email us at support@seriouswriter.com.